Dreamers: How Young Indians are Changing the World. By Snigdha Poonam. Harvard University Press; 288 pages; $17.95. Hurst; £14.99. VINAY SINGHAL and his brother, Parveen, co-founded WittyFeed, a content-factory that churns out clickbait, as a Facebook page in 2011. By 2016 it had its own website, 150 writers around the world, a valuation of $30m and a big HQ in Indore, a third-tier city about halfway between Mumbai and Delhi. Mr Singhal has bigger aspirations yet; for a while he thought he might aim to become prime minister. And why stop there? “I want to lead humanity…I want to lead Mars,” he tells Snigdha Poonam, an Indian journalist. “Dreamers: How Young Indians are Changing the World”, Ms Poonam’s first book, contains an abundance of bombastic characters. “Eyes red from sleepless nights of plotting his and his country’s rise to glory, Singhal can seem like the face of the new India,” Ms Poonam writes. “This new India”, she adds wryly, “is not always easy to like.” Quite. The country she describes is deeply worrying. 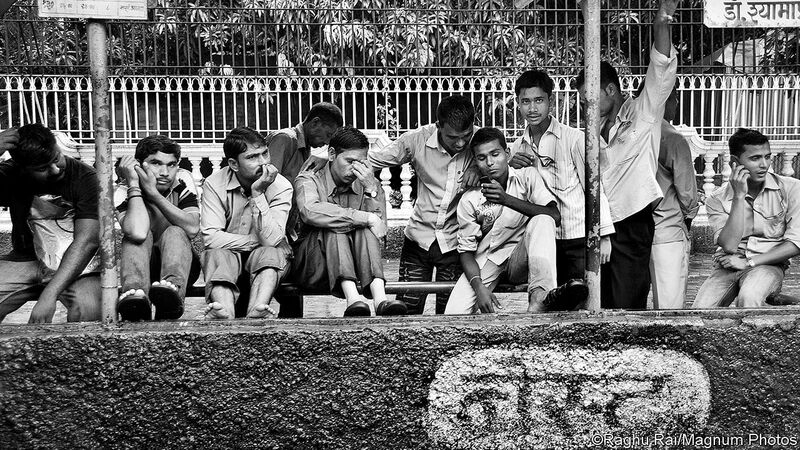 Two-thirds of India’s 1.3bn citizens are under 35. Roughly 1m people enter the workforce every month. Few find jobs; most graduates are too poorly educated to be employable. Meanwhile a numerical gender imbalance means many men remain single. Yet India’s young men—Ms Poonam’s interlocutors are mostly men, because they dominate public spaces—believe they can have it all. And they believe they are owed it all. Unlike previous generations, they see the pleasures of the wider world in their Facebook feeds, Instagram timelines and WhatsApp chats, and wonder why everybody else goes on foreign holidays, drives imported cars, and parties with vodka and girls. They blame the Muslims, the West, the Congress government and its decades of socialism and appeasement of minorities. Now Narendra Modi, whose muscular brand of Hindu nationalism has fired up the young, is prime minister. He will put those miscreants in their place. That these young Indians are “dreamers” is incontrovertible; the idea that they are “changing the world”—as Ms Poonam’s subtitle asserts—is more questionable. But her book offers valuable insights into the politics of identity and resentment that have gripped much of the world. It demonstrates, for instance, that the perfect past of nostalgia need not lie within living memory. Nor is that fantasy restricted to the middle-aged. Many devotees of Mr Modi want to bring back the glories of pre-colonial, pre-Islamic Hindu kingdoms from centuries before they were born. Greatness is a point forever receding in the distance, and yet somehow within reach. How did this politics of anger go global? A clue can be found in the structure of this book. “Dreamers” begins and ends with stories of young Indians deploying assets they acquired from the West against credulous Americans: content-free listicles and call-centre databases. Silicon Valley’s social-media platforms feature throughout as the foundation of young Indians’ social lives. They spend their leisure time staring into their phones. The part this technology has played in the rise of populism in the West has been much discussed. That its spread in other parts of the world has been coterminous with that of smartphones and internet connections is noted less frequently. Ms Poonam offers empirical, if anecdotal, evidence of that overlap. She does not dwell on statistics. But what “Dreamers” lacks in citations of official data it makes up for through its Hindi-speaking author’s ability to draw out her subjects’ inner thoughts. The picture she paints is impressionistic. It is also alarming. If young Indians really are changing the world, it may not be for the better. ﻿The 2020 Commission Report on the North Korean Nuclear Attacks Against the United States: A Speculative Novel. By Jeffrey Lewis.Mariner Books; 304 pages; $15.99. WH Allen; £9.99. OPEN-SOURCE intelligence is the art of learning things by procuring and analysing unclassified (if not always very accessible) evidence. Jeffrey Lewis, an expert on arms control and disarmament at the Middlebury Institute in Monterey, California, is a keen exponent of this craft. In “The 2020 Commission Report” he applies it to the near future. 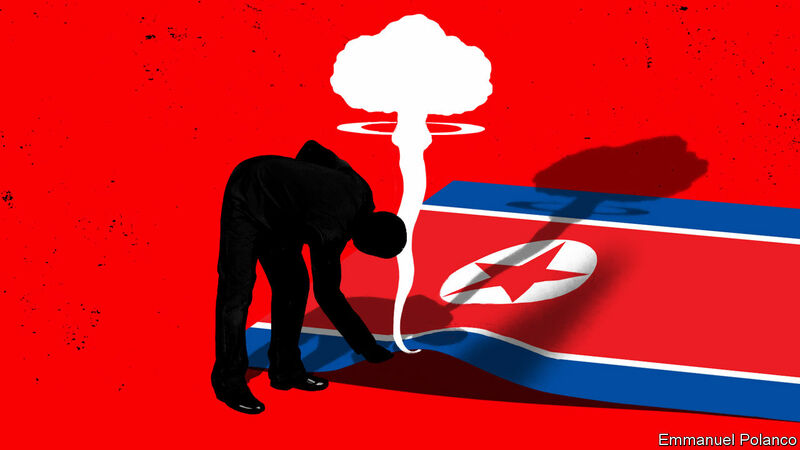 The fiction is framed as an American government report, published in 2023, into the loss of 3m lives—1.4m of them Americans—to North Korean nuclear weapons in March 2020. Like the reports of the Roberts Commission on Pearl Harbour and the 9/11 Commission, it finds that the disaster could have been avoided, but that the evidence of the escalating threat was missed—because the people in charge were misreading the world they lived in. Mr Lewis’s message is that anyone who believes that either supine summitry or threats of a “bloody nose” are good responses to North Korea’s nuclear programme is guilty of just such a misreading today. The imaginary sequence of errors—in software, communication, tactics, intelligence and politics—that leads to the spasm of mass murder is chillingly plausible. This is largely because, as the book’s notes make clear, most of them have already happened in real life. Jets have indeed strayed off course because of software glitches; airliners have been taken for military probes of air defences and shot down. Decision-makers have assumed that actions by one ally were sanctioned by another; America has tried to kill its adversary’s leaders on the eve of war. The commander-in-chief has tweeted threateningly in ALL CAPS. Though some of the characters in the book are invented, its cast includes Presidents Donald Trump and Moon Jae-in, plus Kim Jong Un and Jim Mattis, America’s defence secretary. Again, they mostly say and do things very like those they have said and done before. The harrowing tales of victims are similarly authentic; Mr Lewis has adapted many of them from accounts of survivors of Hiroshima and Nagasaki. The book’s American publication came one day after the anniversary of the Hiroshima bombing. Fans of “Arms Control Wonk”, Mr Lewis’s podcast, will expect notes of absurdist and scornful humour; they will not be disappointed. More surprising is that, in a sense, the book is optimistic about American democracy. The devastating blow that it envisages might undo even the sturdiest polity. Given the existing rifts in American society at a time of relative peace, it is easy to see the recriminations and repercussions after a nuclear catastrophe capsizing its politics altogether. Yet Mr Lewis’s premise depends on America’s institutions continuing to function in recognisable form. That implies a bedrock faith in the resilience of the republic—more, perhaps, than soberly assessed open-source intelligence might warrant. 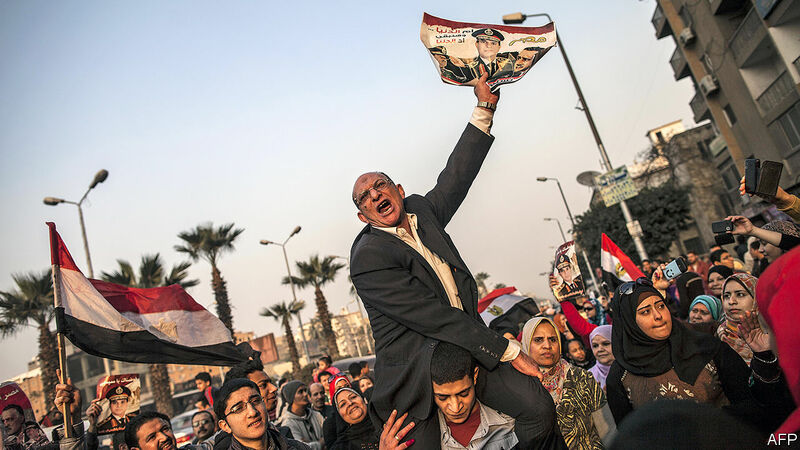 ﻿Into the Hands of the Soldiers: Freedom and Chaos in Egypt and the Middle East. By David Kirkpatrick. Viking; 384 pages; $28. Bloomsbury Publishing; £21. BY HIS own account Christopher Hitchens, an author who died in 2011, was a poor student. He left Oxford with a third-class degree. This was not for want of ability. Hitchens would become a prolific essayist and fearsome debater. Rather, it was a choice. His tutors warned him about neglecting his studies. But he preferred to divide his time between his social life, political protests, books (other than the prescribed ones) and lively debates with other thinkers. As Hitchens’s counterexample demonstrates, it is possible to regret the opportunities missed while striving for top grades. It is a lesson that many of America’s biggest companies have grasped. At one time, the sort of company that could tap the bond market for capital would be given an A-grade as a matter of course. 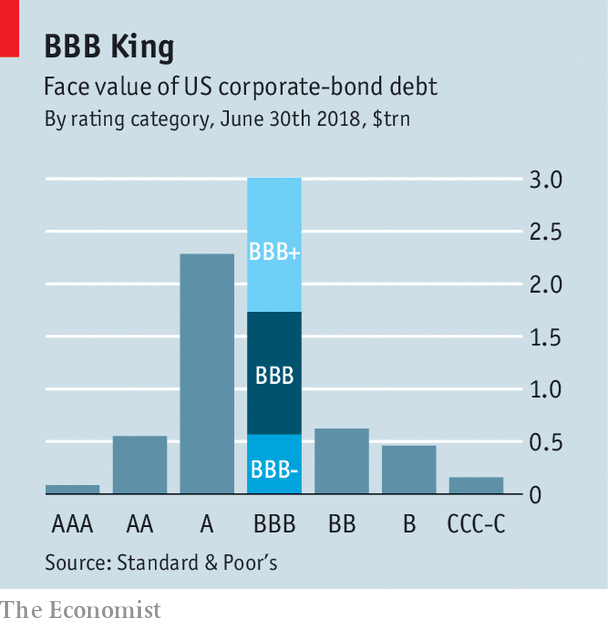 These days the typical corporate-bond issuer has a credit-rating of BBB, only a notch above a junk rating (see chart). That might seem to imply that business has become less efficient or lucrative. Yet profits have never been higher as a share of GDP. In fact, for much of corporate America a BBB rating is the consequence of a financial strategy. Many established firms have chosen to load up on debt to buy back their own shares in order to boost shareholder returns or, more recently, to pay for mergers. To understand why, it helps to start with a bit of textbook finance that says share buy-backs are pointless. According to a theory proposed in 1958 by Franco Modigliani and Merton Miller, a firm’s capital structure—its mix of equity and debt finance—has no effect on its value. Debt has first call on profits; shareholders get what is left over. Debt is thus less risky for investors and a cheaper form of finance for companies. The more debt a firm has, the more volatile are its equity returns. Investors dislike volatility. So a firm’s share price should in principle decline as it takes on more debt, leaving its overall financial value (the sum of its debt and equity) unchanged. 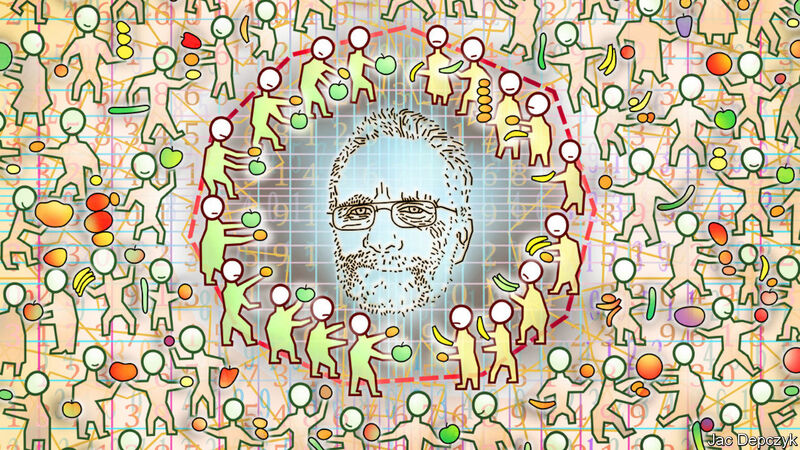 The theory simplifies reality to illustrate a truth—a firm’s worth is ultimately its cashflows. In the real world, there are benefits to using debt. A big one is that interest costs are tax-deductible. This tax shield is in effect a subsidy to debt finance. Debt also has costs. A high interest burden can lead to missed opportunities or a damaging bankruptcy. Each firm has to make a trade-off between the costs and benefits. Capital-goods firms may plump for low debts and a solid credit rating to show they will be around to honour their warranties. Telecom companies, which have more stable earnings, are more likely to gear up. As the corporate-bond market has expanded, new categories of firms have been able to take advantage of cheap debt finance. The taboo on issuing lower-grade debt became weaker in the 1980s after “corporate raiders” used junk bonds to finance leveraged buy-outs of listed companies. Since the financial crisis corporate-debt issuance has accelerated, says Adam Richmond, an analyst at Morgan Stanley. Low yields on government bonds as a result of quantitative easing have drawn investors into riskier sorts of paper. Companies have seized on this demand as a further subsidy to debt. The number of firms issuing bonds has increased by two-thirds in the past decade, according to PIMCO, a fund manager. No doubt some firms will discover they have issued too much. It is of some comfort that the ratio of corporate debt to GDP is barely higher than its previous cyclical peaks, in 2000 and 2008. Bond finance has in part displaced bank finance. But if banks are less exposed, investors are more so. For now, strong GDP growth is a balm. A recent report by S&P Global, a credit-rating agency, plays down the risk of a rash of downgrades to junk. Firms might simply choose to buy fewer of their shares back to preserve their BBB rating. Even so, a recession will come sooner or later. The profits of leveraged firms will be damaged, which will in turn hurt confidence. Downgrades and defaults will follow, as they always do. The process will be more drawn-out than usual if, as seems likely, there proves to be a shortage of buyers for a fresh supply of junk. For now the market is stable. But corporate credit is an asset class to be wary of in a maturing economic cycle. In good times there seems little prospect that buyers might dry up. But they will. The best time to buy corporate bonds is early in an economic recovery, when downgrades and defaults are still under way. There are likely to be more bargains than usual next time. 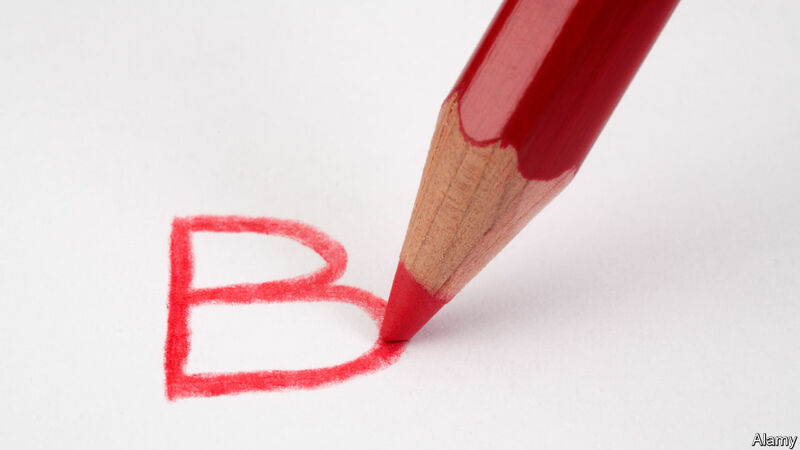 If companies no longer need to strive for an A-grade, all the more reason for investors to do their homework.